Jose Davila Ortiz came to the U.S. without proper documents when he was two years old. (To read Jose's story, click here). Jose considers himself to be a typical American—he attended school from kindergarten to college here and even played football. Now 40 years later, he faces deportation and permanent separation from his 4 children. Jose’s situation is a common difficulty many immigrants face in the U.S. and here in the Seattle area. For Jose, and many others, Cancellation of Removal would be a significant option to put him on the path to get his Green Card and ultimately his citizenship. He/she has not been convicted of any aggravated felony. He/she establishes that removal would result in exceptional and extremely unusual hardship to the alien’s spouse, parent, or child, who is a citizen of the United States or an alien lawfully admitted for permanent residence (shown through medical, financial, psychological status etc.). The 7 and 10 year residence requirements are counted from the day of first entry to the U.S. until the immigrant (1) has left the U.S. for more than 90 consecutive days or more than 180 days cumulatively, (2) been given a Notice to Appear by Immigration, or (3) has committed a serious offense. Cancellation is unavailable for ten years if an applicant was ordered removed for failure to appear at a removal hearing, unless he or she can show exceptional circumstances for failing to appear. After the immigrant is able to establish that he/she qualifies for Cancellation of Removal, he/she must show that he/she merits the judge’s discretion in granting Cancellation of Removal. An advantage of applying for Cancellation of Removal is that while the person is arguing his/her case and awaiting the next hearing, he/she is eligible for a work permit. 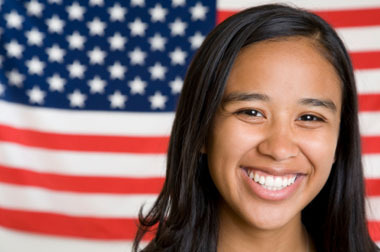 A successful granting of Cancellation of Removal, not only prevents the immigrant’s deportation, but also provides a Green Card, which can lead to citizenship. To see if you may qualify, contact our law office.